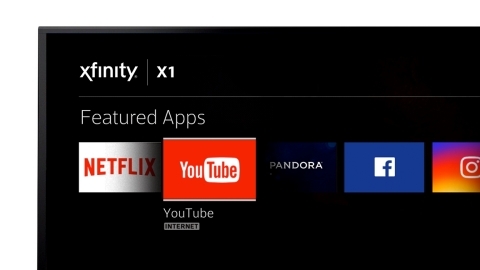 PHILADELPHIA & SAN BRUNO, Calif.--(BUSINESS WIRE)--Comcast and Google today announced a deal that will launch the YouTube app on Xfinity X1 across the country later this year. X1 customers will be able to easily browse and seamlessly access over the Internet the entire YouTube catalog of billions of videos alongside the live, on demand, DVR and web programming included with their Xfinity TV subscription. “We are excited to partner with Google to bring YouTube to X1 and provide our customers easier access to all the content they love in one place,” said Sam Schwartz, Chief Business Development Officer, Comcast Cable. 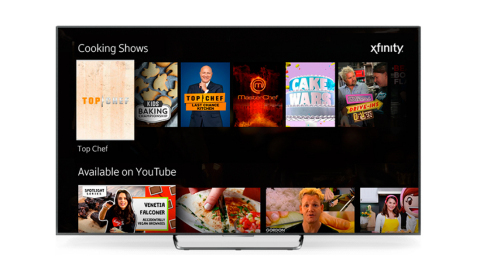 “By integrating YouTube into the X1 experience, viewers can simply and effortlessly access videos on any topic, from cooking, to beauty and fitness with just their voice." “The YouTube integration on X1 will provide users the ability to seamlessly navigate and access YouTube content alongside their cable service. And by simply using their voice, users can now access diverse videos that creators make every single day,” said Robert Kyncl, Chief Business Officer, YouTube. Once launched, X1 customers will be able to browse and access YouTube’s massive collection of digital content, including gaming videos, eSports content, music clips, fitness videos, daily vlogs from YouTube creators, entertainment clips, and real-time trending news, sports and viral videos. Current X1 and YouTube customers will also have the ability to sign in when accessing YouTube on X1 and readily access their personalized settings and subscriptions. The Emmy-award winning X1 platform is in nearly 50 percent of Comcast video customer homes. For more information about X1, interested customers can visit www.xfinity.com/X1. Comcast and Google today announced a deal that will launch the YouTube app on Xfinity X1 across the country later this year.